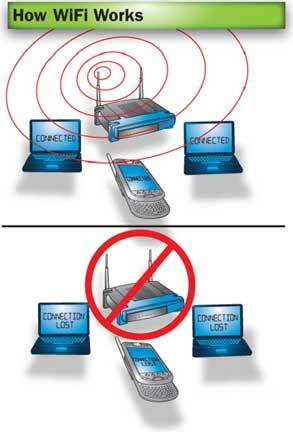 SAYPOINT.NET: How Wi-Fi Technology Works Simple. How Wi-Fi Technology Works Simple. The name Wi-Fi, which is an abbreviation of Wireless Fidelity, was created by international organization called Wi-Fi Alliance. WLAN - Wireless Local Area Network is a networking technology that allows the user to connect his computer to other ones without any wires. According to the standard, wireless communication takes place in Spread Spectrum (SS). A typical Wi-Fi setup contains one or more Access Points (APs) and one or more clients. An AP broadcasts its SSID via packets that are called beacons. Based on the settings (e.g. the SSID), the client may decide whether to connect to an AP. 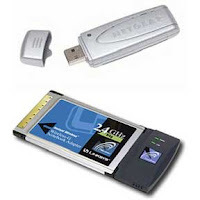 Most new laptops and many new desktop computers come with built in wireless transmitters. If your laptop doesn't, you can buy a wireless adapter that plugs into the PC card slot or USB port. If you have an older computer ,then you need to use a software program. We'll start with a few Wi-Fi basics. A wireless network uses radio waves, just like cell phones, televisions and radios do. radio signal and transmits it using an antenna. A wireless router receives the signal and decodes it. The radio used for Wi-Fi is very similar to other radio’s. They can transmit at frequencies 2.4 GHz or 5.0GHz. What about the security? Is there a possibility of stealing our data? In order to prevent intercepting your data by the others the designers implemented many security techniques, like WEP,WPA , MAC Filtering. There is also a possibility to combine some of these security mechanisms making your transmissions even more secure. Allows LANs to be deployed without cabling . Spaces where cables cannot be run, such as outdoor areas and historical buildings, can host wireless LANs. Power consumption is fairly high compared to some other standards. Wi-Fi networks have limited range. 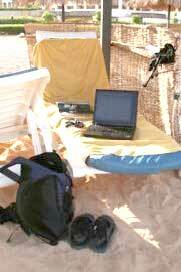 Wi-Fi networks can be monitored and used to read and copy data transmitted over the network.